Because we have one for sale. Yes, our much beloved 2006 Audi A3 3.2 Quattro is on the market. 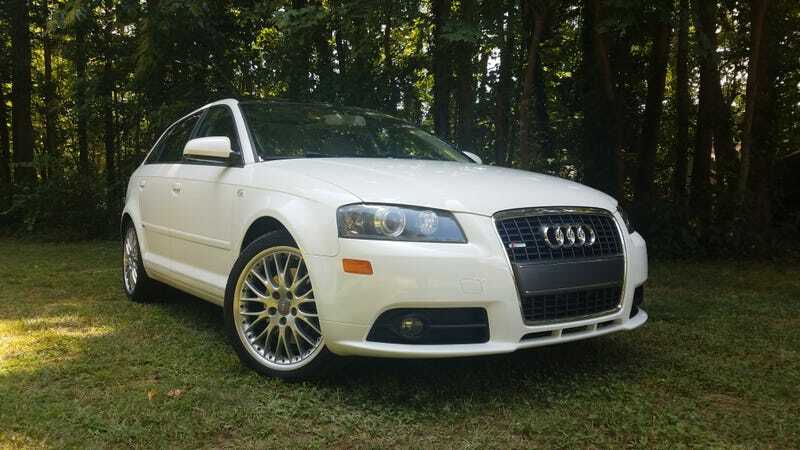 I’ve included the link to the rather wordy Craigslist ad, but in brief the A3 is in great shape, has Audi dealer maintenance history, a relatively new rear diff, and it’s ***RARE***. There’s a couple blemishes here and there but the A3 drives like an absolute dream. I’m very much going to miss this car and am devastated that it’s soon to be gone. The car is located 20 minutes from downtown Raleigh, NC and 35 minutes from RDU airport in the suburb of Apex. We’re asking $8,500 for it but anything reasonable will be considered.